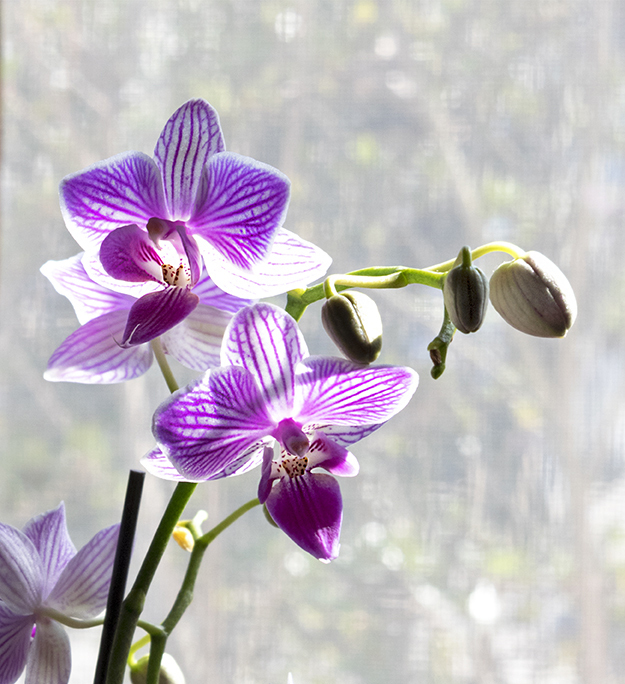 I always thought that orchids were too hard to grow so I never tried. Two years ago I was given a lovely flowering orchid plant. The flowers eventually died off but I continued to water the leaves. As long as they were green I was happy. I sat it on my kitchen windowsill and let it be. This spring I started to see buds and then flowers again. I was excited to see two, then three flowers open up. I complimented the plant on its beauty. The next day two more buds opened into delicate flowers. Each morning another flower appeared. There are twelve flowers currently on the plant, amazing me whenever I look at them. I didn't do anything special to help the orchid to flower but then I guess I didn't do anything to hinder it from expressing itself either. Water and appreciation seemed to do the trick. The plant expressed itself just beautifully. I know we have the inclination to try to control most things in our lives, and to do it now, but I think that sometimes all we need to do is take a deep breath and wait. It's sort of like baking. Each ingredient blends with the others while in the oven to create something new. As the pan cools, the waiting helps us to anticipate what we have before us and to appreciate its promise. Brownies or orchids — both brings smiles and delight. Editor's Note, Learn About Orchids: The Encylopedia of Life is a free online encyclopedia featuring information on all of the 1.8 million living species known to science. The encyclopedia is compiled from existing databases and from contributions by experts and the general public from around the world. Internet Orchid Species Photo Encyclopedia, the world's largest single reference site on orchid species, how to grow, where they are found, what they are called when they bloom. I love the azalea bushes in front of our house. Each morning they greet me with a wild, pink beauty that starts my day off with a gasp of pleasure. Within a week of hinting at flowers, the buds have expressed their full-blossomed glorious nature. There are so many flowers now, the branches keep bending with the weight. Azaleas are early-flowering plants, which makes them welcome after a season laden with cold, wind, now-and-then snow, and a bunch of rain. 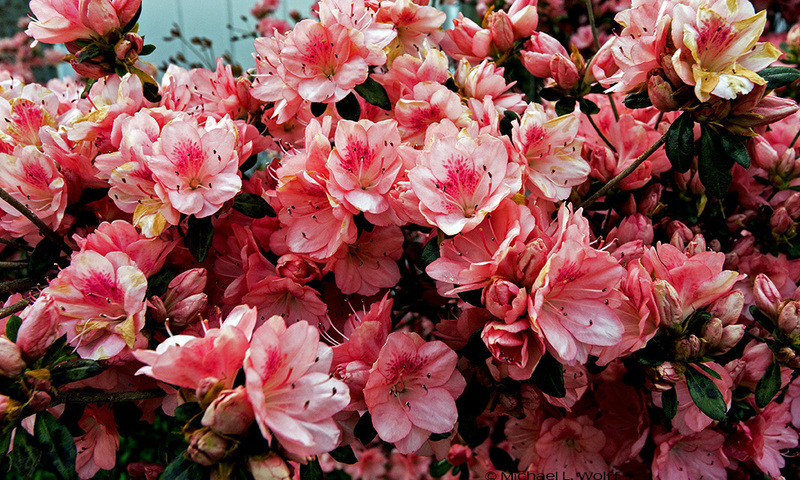 They are part of the rhododendron family. Rhododendron bushes are also full of exuberance and color. Sometimes we all need a burst of liveliness. Like plants, life has its seasons of quiet and renewal intermingled with growth and high spirits. Summer is coming and many more colorful plants will be available for our viewing pleasure but I know I will always have a fond spot for the reminder of life's seasons from beautiful azaleas.